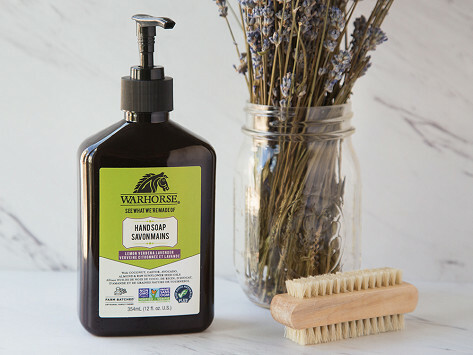 This biodegradable soap makes quick work of washing up dirty hands—and the all-natural sunflower oil formula is also surprisingly gentle on skin. 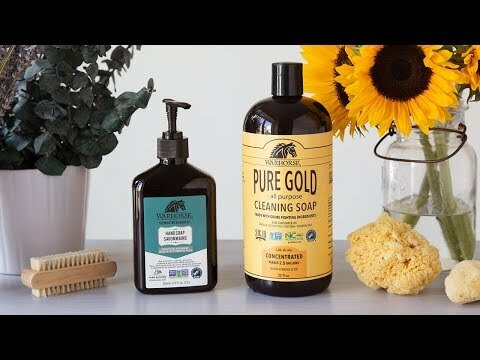 It’s all Made in the USA from Georgia-grown sunflowers and is non-toxic and non-GMO, too. Dimensions: 3.25" x 1.75" x 6.5"
We use this at our utility sink and love it. Gentle but effective. We were pleased at how well Warhorse worked. Some green cleaners can be light on effectiveness, but Warhorse brought a funky trash can back to sparkling clean life. It’s no wonder that sunflower oil soaps have been used for years. And the quick-cleaning, fresh-smelling power will help with chores big and small around the house.